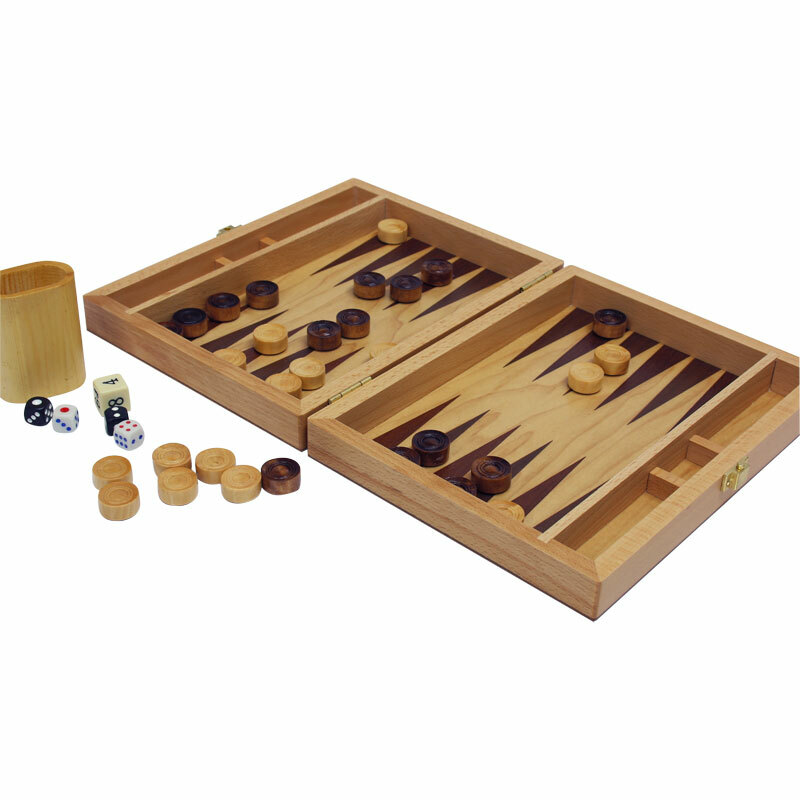 Traditional Backgammon Board Game in a handy wooden case, ideal for travel. Inlaid fold-able playing board has 24 light and dark contrasting points. Wooden box size 9” x 7” x 2” deep, folded.